Olusoji Adeyi, MD, MBA, DrPH, is the Director of the Health, Nutrition and Population Global Practice at the World Bank Group. 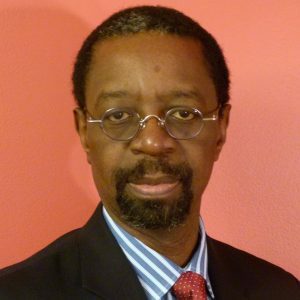 Dr. Adeyi was founding Director of the Affordable Medicines Facility-malaria (AMFm) at the Global Fund to Fight AIDS, Tuberculosis and Malaria. Dr. Adeyi has led a number of initiatives on health policies and strategies. He has extensive experience across the world in health systems development at the global, regional, and country levels. He has also had responsibilities with the Federal Ministry of Health in Nigeria, the World Health Organization, UNAIDS, and Harvard School of Public Health. He has authored research papers and books on health systems, service delivery, quality of care, maternal health, health financing, disease control, and development assistance for health. Watch Dr. Adeyi discuss his role in the HQSS Commission by clicking here.